Dear Family and Friends of Saint Johns the Baptist! You are cordially invited to our annual South End’s Greek Picnic 2018 which will be held at the church’s Court Yard and function Hall on Saturday June 23rd & Sunday 24th, Hours Saturday 12pm to 11pm & Sunday 12:00pm to 8:00pm. 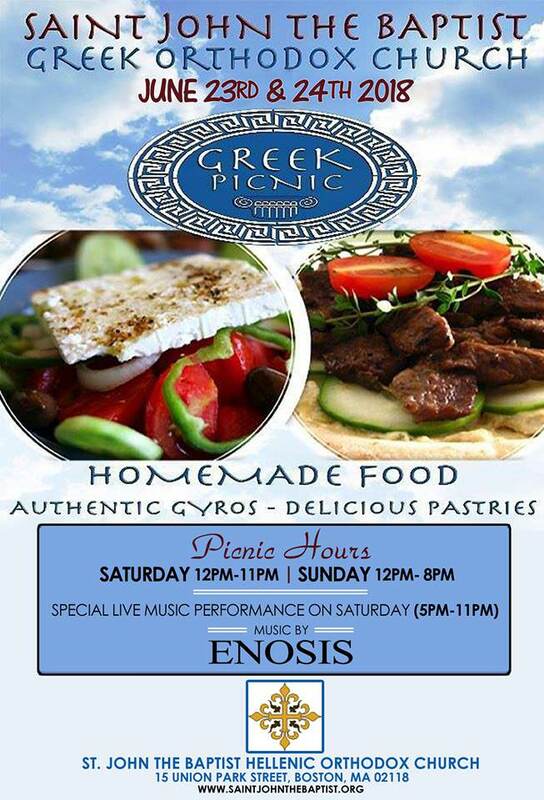 We will have ENOSIS ORCHESTRA performing on Saturday Afternoon till 11pm.